Looking to add that extra something to your venue’s entertainment roster? Book a regular spot for Superheroes Inc and we’ll keep your younger guests occupied while their parents relax and enjoy themselves. We’ll provide a talented entertainer (in character) ready to amuse your small guests with all their favourite Games, Face painting, Magic, Art & Crafts, Balloons, Bubbles, even a Disco! And by offering busy parents a regular ‘time off’ with a range of exciting activities, you’ll see them back every week. We have performed at more than 3500 events in various pubs, clubs, and hotels across Sydney and can supply entertainment any night of the week, or weekend lunches too! Superheroes Inc will make your venue everyone’s favourite place to be! The amazing entertainers from Superheroes Inc have been visiting the Carousel Inn since June 2014 and we could not recommend them highly enough. From superheroes to princesses, fairies to ninjas, pirates and more, Superheroes have helped turn our venue in to an exciting, family friendly place for Sunday afternoons. All the entertainers that have been out to the Carousel have shown so much energy and enthusiasm, which we love and so do our customers! Andre and his team are super professional in every aspect, from regular contact via email about our weekly entertainment, to touching base with us over the phone to ensure that they are living up to our expectations. We have found that having Superheroes in our venue has been a fantastic return on investment, and since June, our patronage has increased, making Sunday’s at the Carousel extremely popular to the point that people plan their weekends around visiting us for our week-to-week entertainment. Since 2002 the amazing children’s entertainers from Superheroes Inc. have performed at more than 20,000 events. We provide children’s entertainment to everyone; pubs, clubs, and venues, big corporates, fetes & fairs, as well as private events for thousands of children in backyards, parks and scout halls across Sydney. Our vast experience and expertise will make your event fun, simple and easy. And we provide everything! Balloons, bubbles, music, magic, face‐paints, festivities. With Superheroes Inc, all you’ll need to provide is your venue, let us do the rest. Our mission? To make sure everyone has an absolute ball. 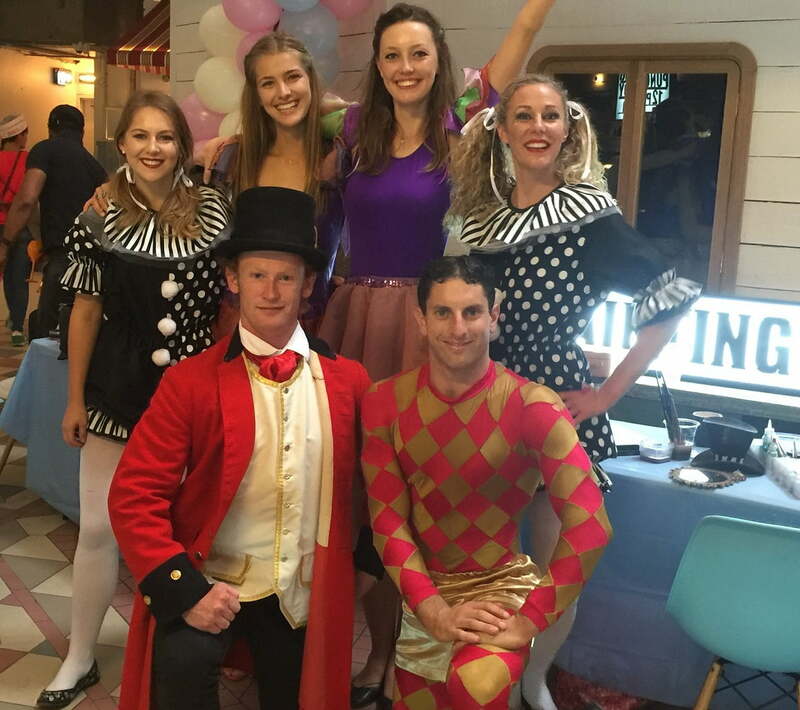 Whether it be for the Saturday lunches that turn into dinners or those cruisey Sunday Sessions, for a few hours let your customers relax while our highly trained entertainers completely captivate their children in a way that will have them begging, ‘let’s come here every week’. Why use Superheroes Inc for your Pubs, Clubs, and Venue Entertainment? Over the years, we have developed a tried and true formula for offering the best venue entertainment in Sydney. 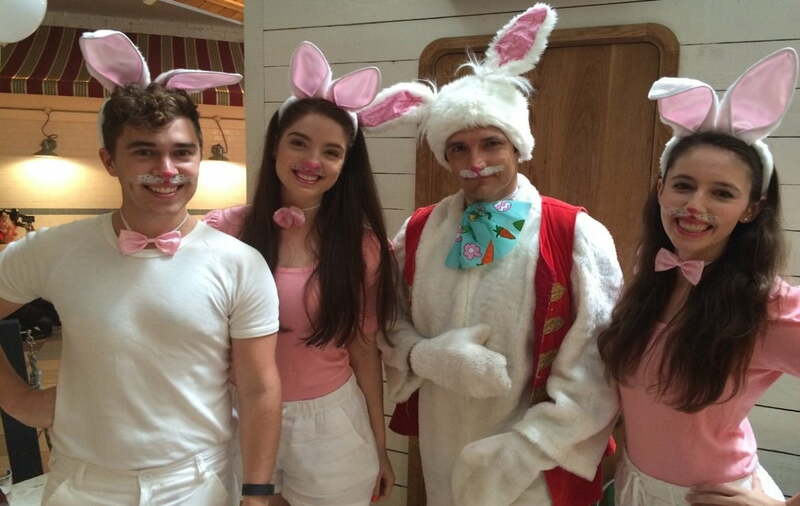 Our entertainers do exactly that – entertain, not babysit – and are trained as such with high expectations. We take a lot of pride in what we do, and we aim to provide you with the best. From our specifically made costumes, to knowing that no two venues are the same, we are able to offer a range of packages to suit your specific needs, or we can tailor a show just for you. At Superheroes Inc, we have the expertise to make your events easy and fun, so all you need to worry about is what you’ll wear to the ‘Venue of the Year’ awards! With formats for all Pubs and Clubs Entertainment in Sydney! Choose from our huge range of 180+ characters and they’ll cover your entire venue, keeping kids amused and giving weary parents time to enjoy each others company! We have Ninjas, Pirates, Fairies, Superheroes, Cowboys, Princesses, Commandos, Star Wars, Magic, Disco, Mermaids, Spies, Sports and of course the seasonal favourites: Easter and Christmas themed characters! This is by far our most popular option for pubs and clubs and venue entertainment in Sydney. Our amazing characters will roam around your venue, keeping kids amused with games, balloons, music, magic, bubbles, stories and more, giving weary parents time to enjoy each others company. At our interactive character-driven workshops, we’ll teach kids to be just like their favourite superheroes, fairies, pirates or the like, incorporating games, music and dance. They’ll learn to shoot webs, fight bad guys or even use The Force, with official certificates issued at the end. At our Rockstar Academy, they’ll learn to rock out and master the air guitar! Our skilled magicians will wow the audience performing amazing tricks and clever sleight of hand keeps the kids enthralled and out of their parent’s hair at the same time! Kids will flock to the Arts & Crafts area, packed with fun things make and do, fully supervised by one of our characters. They’ll be ready to assist and inspire the creation of a beautiful item for your small guests to take home. Let us be part of your venue hire/event package. For large family events such as christenings and birthdays, a designated entertainer will add another dimension to your offerings and provides a valuable option for your clients to amuse their younger guests. Our performers are all highly skilled in these kid friendly arts. You’ll be completely amazed at what our talented performers can do with balloons, and this old party favourite is always a big hit with the kids and a good laugh for the adults! 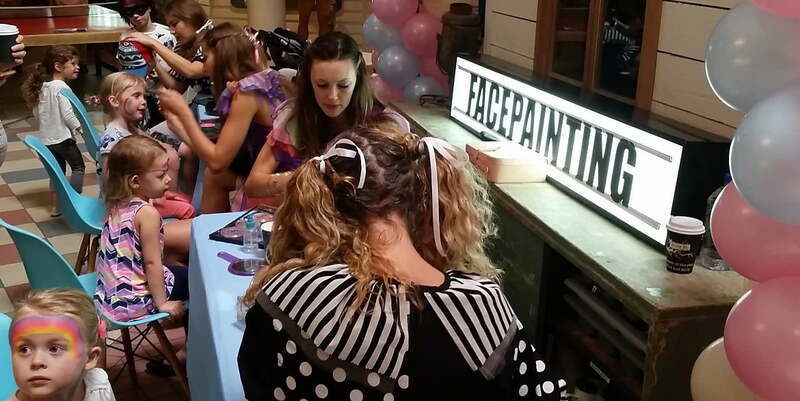 Our artistic, creative team are also experts in face painting, making children look like their favourite characters and your event a winner.Create a regular evening and a fun ‘kids corner’ where the young and the restless can find a Superhero ready to keep them amused with awesome face designs and clever balloon shapes. Our DJ will have your younger guests tearing up the dance floor, playing games and busting a move to their favourite tunes while their parents enjoy some quiet time. If your venue is in need of some added kid friendly activities for special events such as Grand Final Day, Mother’s/ Father’s Day, or Melbourne Cup (just to name a few), simply contact Superheroes Inc for a talented, experienced, one off performer. After using Superheroes Inc for our daughters 5th birthday at home (which was the best child’s entertainer we had ever seen) they were the obvious choice for our hotel to use. We have been using Superheroes Inc since May 2012, and are very happy with the different entertainers that come to our hotel every week. Andre is more than happy to accommodate our different requests even at short notice. The entertainers always deal with large numbers of children in a professional and calm manner. They have helped make our venue the success it is today. We have been using superheros every week for the last two and a half years and will continue to do so indefinitely into the future. Book your Pubs, Clubs, and Venue Entertainment Today! With a track record of providing high quality entertainment at multiple venues, we’ll have your customers coming back to see what is in store every week; you’ll wonder why you didn’t ask for Superheroes Inc to come to the rescue sooner! To book your venue entertainment, contact Superheroes Inc. today! Our Sunday afternoons have been revitalised with energy and enthusiasm since August 2013 when we enlisted the help of Superheroes Inc for Marayong Brewhouse. From the office to on-the ground, Superheroes’ are great fun to deal with and their professionalism is second-to none with regular communication and updates. Even with our monthly kids discos, the Superheroes Disco Guys & Gals, always manage to get the party started! We have found them to be a great return on investment, with our patrons making their way to Marayong, specifically for our weekly entertainment. Several of our regular customers have even booked Superheroes Inc for their own kids parties!